Ideal for use in steel mills and other heavy industrial settings. 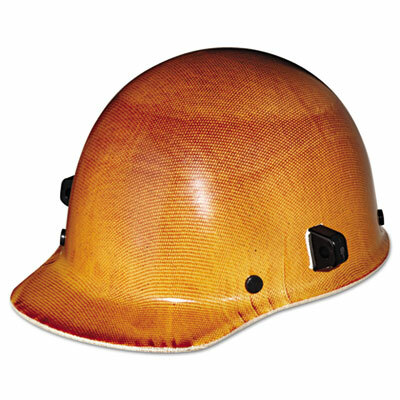 Heavy-duty helmet provides excellent protection against nearly all workplace hazards. Phenolic construction withstands elevated temperatures. Easy-adjust pin lock suspension allows you get the right fit. Ideal for use in steel mills and other heavy industry surroundings. Click here to see more Head & Face Protection!